Israel's loss of a fighter jet to Syrian anti-aircraft fire earlier this month showed its military had "crumbled", Iran's foreign minister Mohammad Javad Zarif has said. 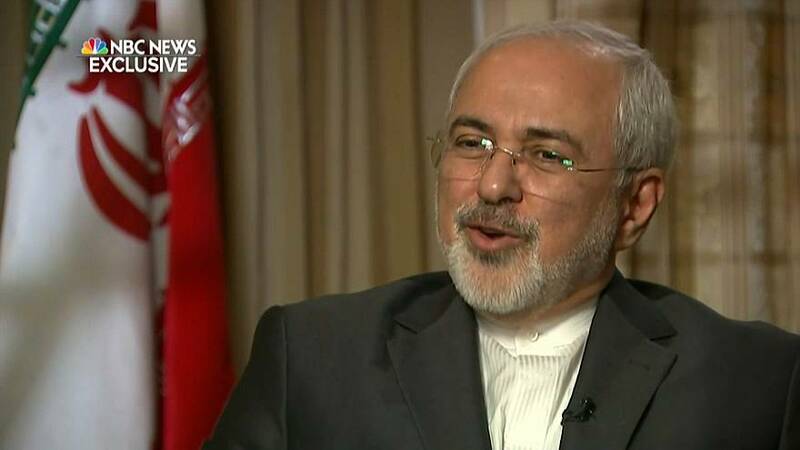 Zarif made the remarks in an interview with NBC News's Bill Neely during the Munich Security Conference on Sunday. "For years, Israel has been attacking Syria, Lebanon, almost with impunity, and for once, after 30-some years, the Syrians were able to down one of its planes - and so the myth of invincibility of Israel, of the Israeli military, has crumbled," he said. Israel said its fighter jets struck targets within Syria last weekend after an Iranian drone crossed into its airspace. One of the eight Israeli F-16 fighter jets that took part in the raid was shot down by Syrian air defences. The plane crashed in northern Israel after its pilots ejected. Israel's prime minister, Benjamin Netanyahu, showed the Munich Security Conference pieces of the Iranian drone that he said prompted the air strikes. "Here is a piece of that Iranian drone, or what's left of it after we shot it down," he told the audience, holding the piece up. "I brought it here so you could see for yourself." In the NBC interview Zarif also warned Donald Trump that any unilateral withdrawal from the Iran nuclear deal would have implications for the reputation of the United States as an international partner. He said: "If this administration in the United States fails to respect the obligations that the United States government - not a person, not an individual, not an administration [but] the US government - on behalf of the United States undertook, then nobody will in the future even trust any government, including President Trump's, to sign an agreement with them because the next administration will have a free hand to violate it." Trump has repeatedly described the deal with Iran, which was signed by his predecessor Barack Obama and five other world powers, as a "bad deal".